Are Business Suits Only Suitable For The Boardrooms? 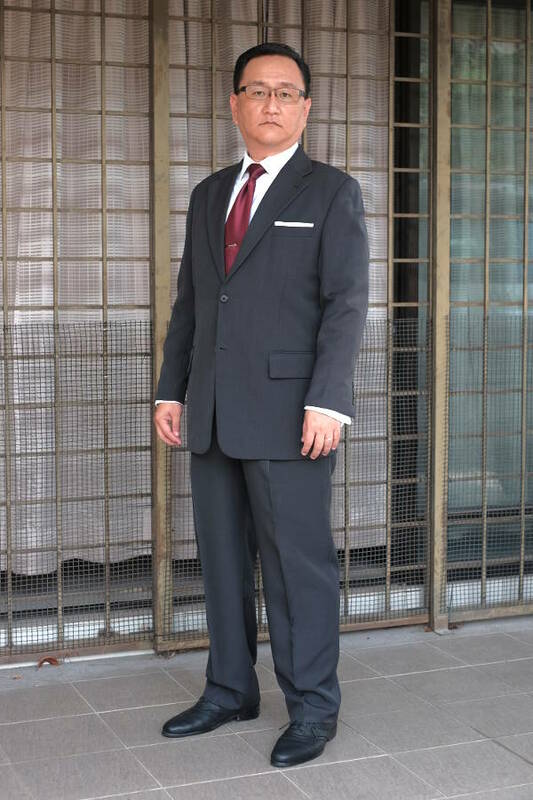 Previously, we’ve established that business suits are not suitable for all “formal” events. Yes, there really is a difference between what’s business formal, and what’s social formal. As mentioned above, you don’t break out your business suit only for that irregular “special occasion”. Likewise, you don’t wear a casual button-down, tartan plaid, oxford shirt, with open collar, and leather loafers for the rest of your work days that aren’t “special”. To make things easier to digest, we have broken down the different levels formality when it comes to business attire. We label them based on the days of the week – Mondays being the most formal, Fridays being the least formal, and weekends for casual wear or non-business events. This is the most formal of all the business functions. Everything from boardroom meetings and business presentations, to power lunches and entertaining important guests. What defines a proper business formal attire is a solid dark suit, preferably in navy blue or charcoal grey). Dark, not black… Not unless you’re attending a funeral… Two-piece or three-piece, single breasted or double breasted, just as long as it’s conservative and understated. Match the suit with an equally understated solid white or solid light blue shirt. Patterns or texture, though not technically wrong, will only serve to bring down the formality. As for the neckwear, it doesn’t matter whether you choose the path of a regular long-tie or a bow tie, as long as you keep them solid coloured and dark. This is not the time to stand out of the crowd with a loud colours and/or bold patterns. If you choose to wear a pocket square (and we encourage you to) keep it conservative too. Solid white, linen or cotton, in a conservative square fold. No exceptions, the only suitable footwear is black, plain oxfords. The simpler the design, the more formal it is. Don’t deviate much from Monday’s attire. Just bring the formality down a notch. It’s still business formal, but now you can inject a slight air of playfulness. White or blue shirts is still the order of the day, although small conservative patterns (i.e. rope stripes, bengal stripes etc.) in muted colours are acceptable too. Start expressing your individuality with louder neckwear. Regimental stripes, small repeating patterns, colours slightly louder than before. You subtly hint for attention, not burn people’s eyes with blinding colours. Pocket squares is where you express creativity. It’s less frowned upon to wear loud pocket squares than loud ties. Even then, coordinate the colours well with the rest of your ensemble. Note: The image above shows a pair of black tassel-loafers. Less formal, but not entirely wrong either. Things are getting less formal, but it’s still business as usual. Department meetings, client visits, and all the other serious business activities. Only this time, you don’t really need a full suit anymore. Some may choose to go with casual suits, like light grey, khaki, tan, beige, etc. 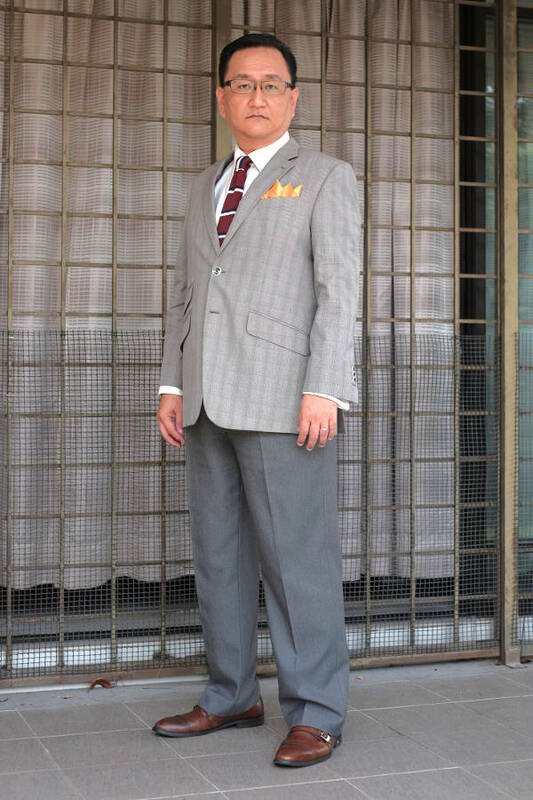 Others go for loud patterns like houndstooth, contrasting window pane check, or any variation of tweed. And for the first time, you can actually break the suit apart. Start introducing odd blazers with contrasting trousers. Navy blazer and brass buttons with grey flannel or crisp khaki chinos, off-white blazer with charcoal or navy trousers. Start introducing more colours into your shirt choice, but keep them light. Pink, green, tan, lavender, peach, sky blue, anything goes, as long as they’re the pale equivalent of their solid cousins. Bolder stripes are also acceptable too, but keep the number of different colours small. You can also start introducing texture for your neckwear too. Knit ties are a good choice in addition to your regular woven ties. Solid colours or patterned, anything goes. Just keep them conservative and coordinated with the rest of your ensemble. As for your footwear, on top of your full-brogue wingtips, you can start bringing in non-laced shoes like monkstraps, though I’d stay away from the loafers for the time being. As the week goes by, the formality drops even further. But don’t ignore the fact that your attire should still be business appropriate. You can dispense with the need of a full suit now. Sport jackets with “sporty details” like patch pockets, elbow patches, textured fabric, fuzzy finish, etc. can now take the place of the slightly more formal, solid coloured blazers. And as for the trousers, you can start to move away from the more formal worsted wool trousers. Cotton chinos are now the rule, not the exception, though I’d still stay away from jeans for the time being. You can start switching solid coloured shirts to louder patterned ones. Small gingham-checks in contrasting colours, bolder stripes in equally contrasting colours. You can also start bringing in your sporty oxford button-down shirts too. Whatever shirt you choose to wear, just remember to keep them tucked at all times. Neckwear is now the realm of knit ties. Wear them with bolder patterns and/or contrasting colours. Whatever you do, don’t wear your shirt open-collar. After all, it’s still a business day. Monkstraps, penny-loafers, tassel-loafers, horsebit-loafers, even dress boots are also acceptable. Shoes made of fine grain leather, suede, even dressy canvas shoes are acceptable too. But whatever you do, just keep those sporty trainers for when you actually participate in sporty activities only. 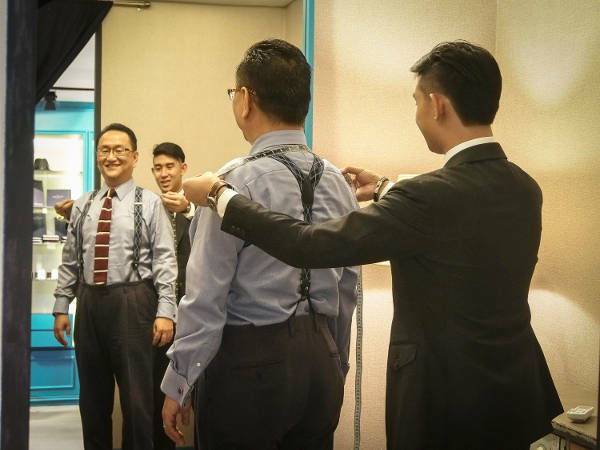 Before you go crazy and scream “Casual Friday”… There’s no such thing as Casual Fridays… The original term was “Dressed Down Fridays”, which somehow got twisted into the term that we now know… Remember, it’s still a work day, so whatever you choose to wear still has to be business appropriate. While you can dispense with the jacket completely, I’d still prefer to layer something on top (remember, the shirt was originally underwear). Cardigans, sweaters, waistcoats, anything except hoodies. You can wear that on weekends. Personally, I’d stick with sport jackets. A well-tailored jacket will always bring out the best in you. Casual shirts as before, but this time you can choose to wear them sans-neckwear. And if you choose to wear your shirts open collar, you can start introducing shirts without the regular fold-down collar, like band-collar, Cuban-collar, or even turtlenecks. Whatever you choose, just stay away from t-shirts. Remember, it’s still a work day. And for the first time, you can introduce denim to your ensemble. Go with dark wash jeans that aren’t torn or damaged in anyway. Keep your favourite pair of faded and/or torn jeans for the weekends. As for footwear, loafers are open season. Penny-loafers, tassel-loafers, boots, boat-shoes, driving-moccasins, in fine grain leather, suede, canvas, fabric, anything remotely dressy looking is acceptable. And as usual, sporty trainers are not. While the formality is all the way down, it’s still a work day. So anything you wear still has to be business appropriate. Since weekends are not considered work days, your attire is completely open to your imagination. But if for some reason that you still “working” on a weekend, say meeting a client on a Saturday afternoon, at the local clubhouse lounge, then Friday’s attire take precedence. 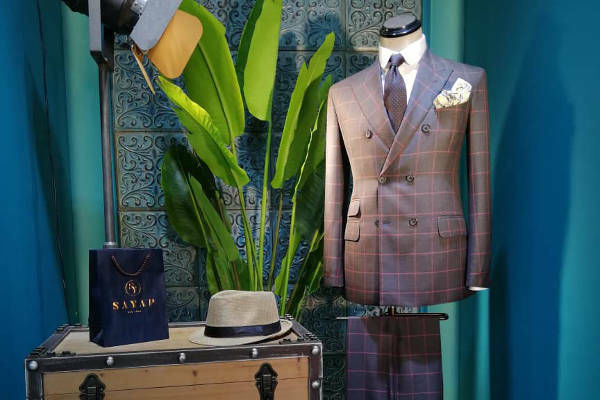 A suit isn’t meant to be put in permanent storage. It’s meant to be worn. And since most jobs don’t require you to be suited up every day of the week, you don’t really need to have five suits to rotate. 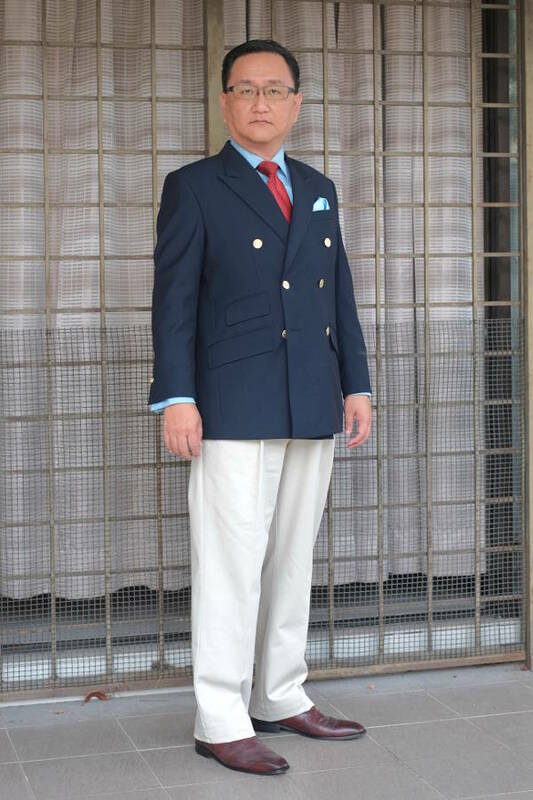 One or two suits are more than sufficient. Just make sure that you actually wear them. An expensive suit at point of purchase can be made more economical by wearing it regularly. The more often you wear it, the less the cost per wear becomes. A $5,000 suit (replace with your own currency if necessary), when worn twice a week (i.e. around 100 times within a year), will cost only $50 per wear. But the same suit, when worn only twice within a year, will cost a whopping $2,500 per wear in the same time period. Expense Vs. Value – Which Is More Important? 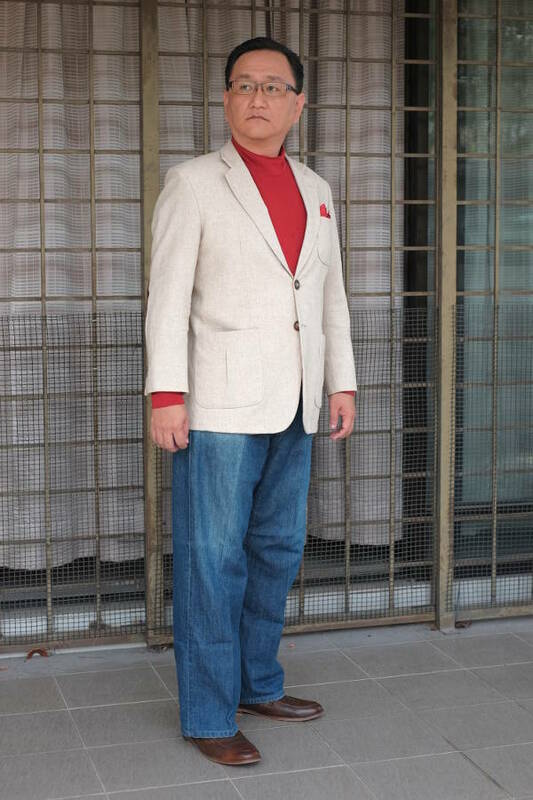 This entry was posted in Branding, Opinion, Personal and tagged appropriate, attire, blazer, business, casual, day, dressy, formal, informal, jacket, lounge, semi, shirt, sport, suit by CHOW Wei-Ming. Bookmark the permalink.